Brought to you from UK: The ultimate one-stop shop for stylish must-have beauty, cosmetics, haircare & body care essentials & gifts - everything you need to have a beautiful day! Free shipping to Singapore with no min. spending requirement. 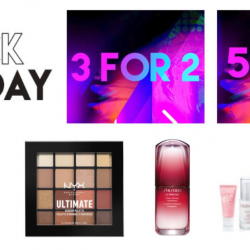 Till 27 Nov 2018 Best Black Friday Beauty Deals from Overseas Sites: LookFantastic, Beauty Expert, MANKIND & HQhair! Black Friday is not yet over! Many overseas sites have extended their sales to the full weekend till Cyber Monday so don't put down your wallets yet, continue to SHOP SHOP SHOP! Beauty sites like LookFantastic, Beauty Expert, MANKIND and HQhair which ship directly to Singapore are having up to 50% off sales till 27 November 2018. Check out all the coupon codes below and don't forget to use them! Code can be used alongside a wide selection of black friday offers. From 11 to 15 November 2015, get your beauty fix at Beauty Expert with 30% off brands like Eve Lom, Caudalie, Imedeen, Antipodes & more! Standard shipping to Singapore only costs £0.99 (SGD2+). Get free shipping if you spend £120 (SGD250+)! 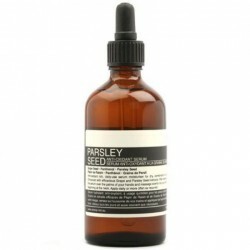 Enjoy Beauty Expert Offers 20% OFF this Aesop Parsley Seed Anti Oxidant Serum 100ml via coupon code SEED20. Hurry Limited time only. Enjoy Beauty Expert offers 10% OFF on FOREO Luna Mini Sensitive/Normal Skin use coupon code FOREO10. Hurry limited time only. Beauty Expert: Take 25% OFF Kerastase Bundles Plus Extra 10% OFF Via Coupon Code. Enjoy Beauty Expert offers and take this 25% OFF on Kerastase Bundles plus EXTRA 10% OFF via copon code KER10ST. Hurry Limited time only. Enjoy Beauty expert Offers Jurlique Rosewater Balancing Mist Intense Limited Edition with (200ml) use this coupon code MIST15, to get 15% OFF. Set the following deal. Hurry limited time only. 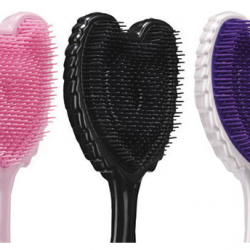 Beauty Expert offers 3 FOR 2 ON TANGLE ANGEL. The Tangle Angel range at Beauty Expert features a collection of professional hair brushes that will remove knots easily and painlessly, leaving your hair looking shiny and feeling manageable. Beautifully designed, the Tangle Angel brushes are suitable for all hair types, and there’s even the Tangle Cherub, a more compact version of the Tangle Angel that’s also suitable for children. Beauty Expert also offers the Shine Angel brush, which features two-tier boar bristle technology and ionic nylon bristles to smooth the hair cuticles, reduce frizz and enhance your hair with a glossy appearance. 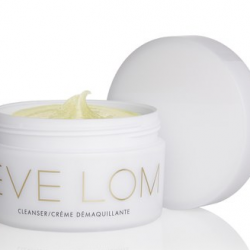 Beauty Expert offers 23% off Eve Lom Cleanser 200ml. The ultimate in skin care, this Eve Lom Cleanser provides skin with multi-purpose benefits, removing daily dirt and impurities while decongesting, exfoliating and toning the skin. Enhancing your routine with a unique blend of Clove oil, Eucalyptus oil, Hops oil, Egyptian Chamomile oil and Cocoa butter to soften and condition your skin. Enjoy Beauty Expert offers FOREO LUNA MINI Cut it OFF to £79.2 by using coupon FMAG20. It provides a deep yet gentle cleansing action, effectively removing makeup, dirt and oil by using T-Sonic™ technology, which channels transdermal sonic pulsations across the skin’s surface. Suitable for use with any cleanser, your skin will be smoothed and refined in just three days. 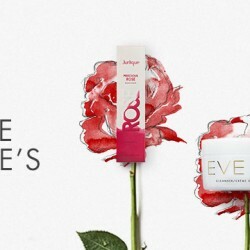 Enjoy Beauty Expert takes an 25% OFF for EVE LOM by using this Coupon Code: EVE3F2. 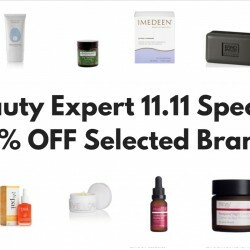 Enjoy Beauty expert offers Extra 15% off Oskia free shipping to Singapore provided, it may take up to 1 month for shipping. Enjoy Beauty expert offers 23% off for 200ml Eve Lom cleanser free shipping to Singapore provided, it may take up to 1 month for shipping. Beauty Expert offers 25% off selected item Chinese Valentine’s Day (QiXi) with free shipping to Singapore. Valid until 29th August 2015. Beauty Expert offers20% off selected item Chinese Valentine’s Day (QiXi) with free shipping to Singapore. Valid until 29th August 2015. Beauty Expert offers Moroccan oil repair trio and save up to 20% off. 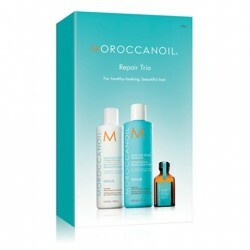 Transform tired, lifeless hair with the Moroccanoil Repair Trio (with free 25ml Oil worth £13.45). Full of nourishing ingredients, the kit will leave you with sleek, smooth and healthy-looking locks. E.N. Beauty Expert offers the eve lom deluxe cleansing set with 20% Off. Achieve brighter, healthy-looking skin with the Deluxe Cleansing Set from Eve Lom, a brand who deliver luxury skincare products to leave you with a smooth, supple and younger complexion. E.N. Beauty Expert now has the promotion for bliss Pore-fector Gadget. BUY 2 GET 1 FREE (£68.10 each). Direct shipping to Singapore. 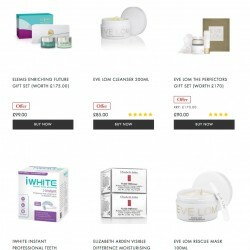 Beauty Expert now offers up to 20% off sale for skincare with the code provided below. New Eve Lom via Beauty Expert offers 22% off on the Eve Lom Signature Cleansing Kits. Discount declines 1% every hour. Check out with the code provided. 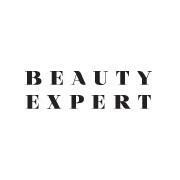 Enjoy 2o% off at Beauty Expert when you spend £65 or more. Valid till 4th March. Free shipping to Singapore. Beauty Expert offers Pai Intensive Nourishing Facial Limited Edition Rosehip Collection for £22.00 with free shipping to Singapore.Rapid radiance mask, bioRegenerate oil and organic muslin cloth are included. £22.00 + free shipping to Singapore. 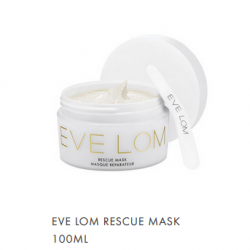 Award winning brand Eve Lom present their Signature Cleansing Kit. Beauty Expert Eve Lom Signature Cleansing Kit at £40.00 free shipping to Singapore. Beauty Expert offers Bliss Pore-Fector Gadget for £87.86 with free shipping to Singapore. Use higher-level vibrations to power-wash pores and eliminate impurities like dirt, oil and debris. £87.86 + free shipping to Singapore. 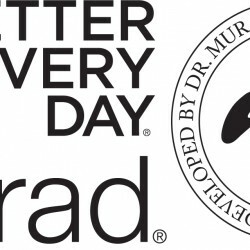 Founded by Dr. Murad, Murad is a true medical thought leader and icon in skin care industry. Beauty Expert offers Get 3 for 2 event on Murad products plus 15% off when purchase 2 or more products. Free shipping to Singapore.